One of the first and most important things you have to learn as a new owner is how to house train a puppy…and fast! 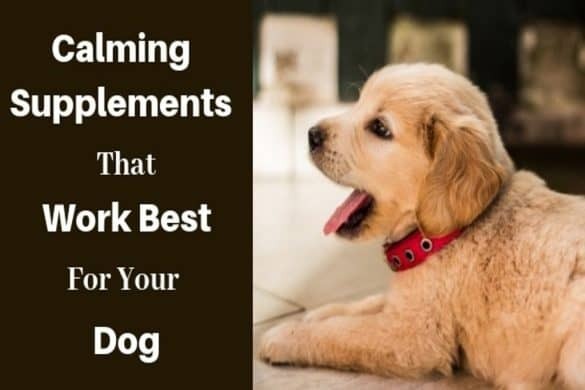 Well, it turns out you can dramatically decrease the time it takes to house train your puppy, getting to the days of cleaner floors and carpets much sooner, by arming yourself with just a little knowledge and following a well laid out plan. And in this article, I give you a detailed step-by-step method to follow that will have your puppy house trained in the fastest time possible, with the least ‘accidents’, mess and cleaning along the way. I don’t promise any ‘magic pill‘ or ‘house training secret‘ that will have your puppy house trained in a week. No such secret exists and the time it takes will differ from puppy to puppy and owner to owner. But what I do offer is a comprehensive guide, written from countless hours of research and my own house training experience that’s taught me what does and doesn’t work. If you follow this guide with patience, consistency and dedication, I can guarantee you’ll take both your puppy and yourself from complete beginners to house training aces as quickly and stress free as possible. Food & Water Play An Incredibly Important Role! An Outside Or Inside Bathroom Spot? – Or Both? Puppy Pads, Papers, Litter Tray or Turf Box For Inside Use? Can You Predict When They Need To Potty? When To Start And Stop Using A Schedule And Diary? How Do You Know When It’s Time To Stop House Training? ‘How To House Train A Puppy‘ is the 11th article in my ‘Ultimate Guide To House Training‘ series. 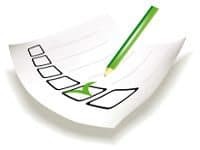 The previous 10 articles contain a wealth of supporting information that answer many of the most common house training questions and provide the knowledge for you to make informed decisions on the method and style of potty training you will follow. However, I’ve purposely made this ‘how-to‘ guide as complete and standalone as possible, so reading the previous articles isn’t essential. I repeat the most important information here in less detail, then link out to those articles if you’d like a more detailed read and deeper understanding. 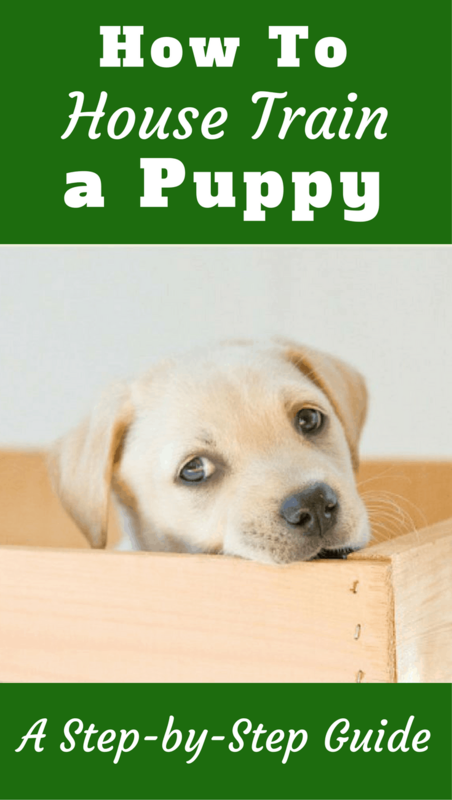 To use this guide, I recommend reading it once fully from start to finish, then you will have covered everything you need to know to successfully house-train a puppy. I warn you, this article is long. Very long. It will likely take you 15 minutes to read. But what you’ll learn, the best way to house train a puppy as fast as possible, will pay you back the time invested hundreds of times over in the first few weeks and months with your puppy. And if you bookmark this guide you can use it as a reference by clicking in the table of contents above to take you directly to any section if you need to refresh your memory on a particular topic. At 8 weeks old, a puppy knows no better than to wee or poop absolutely anywhere they happen to be standing when the urge strikes. They’ve no idea this isn’t how it’s supposed to be done or that you don’t find pottying on your carpets acceptable. It’s up to you to choose an appropriate bathroom spot, train your puppy to use it and at the same time teach them it isn’t acceptable to potty anywhere else inside your home. You need to prevent mistakes inside your home. You need to praise your puppy for pottying in the right place as many times and as often as possible. A big part of achieving this is simply to take your puppy to their designated toilet spot often. This way you get the greatest number of opportunities to praise them for doing the right thing. And because they’re empty you also lessen their need to potty when in the wrong places. But it’s not as simple as just this. You must also prevent mistakes in your home through a mixture of confinement and concentrated supervision. And fit this 24/7 task in to your current lifestyle and routines. To do this is both an art and a science, needing a well thought out and highly planned approach to give your puppy the greatest chance possible of doing the right thing, while limiting opportunities to do the wrong thing. And this guide will show you exactly how. How long can a puppy hold their bladder? How many times does a puppy need to potty each day? How long will it take before your puppy’s completely house trained? There are many questions an owner will have when starting out with house training and there’s a lot of misinformation written out there. So to answer the most frequently asked questions I wrote the following article: Basic need to know facts before you start. Because your puppy has no idea what you’re asking them to do or why, you are the most important part in the house training process. It’s up to you to teach them acceptable toilet habits and you must do so in a way that’s as easy for them to understand and as stress free as possible. How you approach things will have a dramatic effect on how smoothly things will go, so much so that I dedicated an entire article to the matter: The Mindset And Approach You Must Take to House Training. In the article I discuss traditional methods that should never be used, why they shouldn’t and what you should do instead. I cover how you must take on the role of guide and trainer, must be patient and understanding, yet firm and consistent. I cover how to work with your puppy’s natural instincts, the best way to deal with accidents in the home and how toilet training lays the foundation of your future relationship together. It’s important reading for anyone about to embark on a house training program so I recommend you pop off to read it before continuing on with this guide. Restricting your puppy’s access to your home until they can be trusted is one of the best things you can do for a faster and cleaner road to success. Dogs have an instinct not to eliminate inside their den, the place where they eat and sleep. Your task is to convince your puppy your entire home is their den and they shouldn’t soil anywhere inside it. This is so much easier to do if you initially restrict your puppy to just a single room of your home, convince them to keep that clean first and then slowly expand the areas they’re allowed into. Dogs do not generalize well so even if they know they aren’t supposed to potty in your kitchen, they will not take this idea and apply it to your bedroom. You have to teach them not to potty in your bedroom almost as a separate idea. If you allow access to your entire home right away, your puppy won’t see it as one big place, but lots of separate and entirely different places. But if you start small, restrict them to and potty train them in one area, then expand bit by bit, it’s easier for your puppy to associate the new area with their living space that they’re supposed to keep clean. This will speed up the house breaking process while at the same time lowering the number of accidents your puppy will have and the number of deep cleans you’ll have to do. A winning situation in anybody’s book! The following is a list of items and products you’re going to need to help you toilet train your puppy. Some are essential, others are optional and what you need will depend upon the method you choose. You’ll be able to determine what you need once you finish the guide and know your plan of action. What you feed and how you feed your puppy has an incredible impact on the process. I’ve written a detailed article on how feeding choices make a massive difference during house training which you can read by clicking here. In it is a detailed discussion of the influence your choices around food will make to your success and lots of advice around how to feed your puppy. Low quality food is full of cheap fillers, has low nutritional value and is hard to digest resulting in more passing right through. Whereas high quality food is high in nutrition, easily digested and more gets absorbed meaning less passes through. Therefore, high quality food results in your dog producing fewer stools each day which is obviously ideal when house training. Because a puppy extracts more nutrients from high quality food and less cheap fillers flow straight through, their stools are firmer and this helps them in learning bowel control. Because food travels through your puppy’s system at a reasonably consistent pace, if you feed them at the same times every day, they will settle into a pattern of eliminating at the same times every day. You can then base a schedule around these times, your puppy will learn to expect a toilet break at these times and house training becomes easier for both of you. If instead of sticking to strict feeding times you leave food down for your puppy all day, they may pick at and eat their food at random times. This is known as ‘free-feeding’ and is the worst thing you can do until your puppy knows appropriate toilet habits. By eating at random times, they will need to poop at random times too. With no regular, predictable pattern to when your puppy needs to poop, house training will be more difficult. Therefore, make your puppy eat on a schedule and pick up their food bowl between meals, whether emptied or not. Choose a single, high quality and nutritionally balanced brand of puppy food and stick to it. The one your puppy’s breeder used is usually the best choice so your puppy doesn’t have to go through a change. If you do need to choose a new brand of food, or are thinking of changing to something better, we’ve listed some of the best foods for Labrador puppies and large dogs here (opens in new window). You should make water freely available to your puppy throughout the day, monitor their intake so you can judge if they’re taking in too much or too little, but don’t restrict access as their needs may vary. The important thing to do is remove their access to water for the last 2 hours before bed, otherwise they will need to go many times through the night which of course you do not want. Dogs are attracted back to places by the smell of their own urine to use the same spot as a toilet again and again. And their sense of smell is so keen that even the tiniest little trace of urine is enough to encourage a repeat performance. Therefore after every accident, it’s essential for you to meticulously clean the area, removing every last trace of urine and it’s smell. If you don’t, there is a very high chance your puppy will make another little puddle. This can ruin your efforts because encouraging them to potty inside your home is the exact opposite of what you’re trying to achieve. Ordinary household cleaners just don’t do a good enough job of eliminating odors so you really do need to use a stain and odor remover specially designed for the purpose. And you need a step by step method to follow that guarantees results. For advice on the cleaning products you should choose, those you simply must avoid, how to find hidden urine stains (with a UV light) and a step by step process for a fast and thorough cleaning, please see my article: Accidents Happen: How To Remove Pet Stains And Odors. Before you start potty training, you need to make one very important decision: Will your dog have a bathroom spot outside, inside, or perhaps even both? And how should you decide? My advice is: Choose an outdoor bathroom spot unless you have a very good reason to do otherwise. Training a dog to toilet outside exclusively is easier for your puppy to understand, easier for you to train and kinder on your nose. But if you have mobility problems or live on the top floor of a high-rise building, getting outside quickly is impossible. Then you have to choose a bathroom spot inside your home, at least until your puppy has developed some strong bladder control. You can choose a mix of the two by having your dog toilet outside when you’re there but inside on pads or paper when you aren’t. This is suitable if you have to work all day or must occasionally leave your dog alone for many hours. It’s a good idea to ‘paper train’ your puppy to toilet inside when in their confinement area, even if your final plan is for them to only ever toilet outside. This is because depending on a puppy’s age, it’s physically impossible for them to hold their bladder for more than a couple of hours until they grow. Personally, I’ve always found with every dog I’ve ever owned that there are always times when I’ve had to leave them alone for 3, 4, maybe 5 hours. I plan for this not to happen, but occasionally it does. You cannot crate a puppy for this length of time, so you must have a back up plan. And that is to confine them to an exercise pen or a single small room with a papered area for them to potty. So although when home I’m vigilant and very actively house training my puppy to toilet outside, I also have to paper train them for the odd occasion I’m not home. After speaking with many friends and owners, I know this is a common scenario for many. Many people allow their dogs to use their entire yard as a toilet, just so long as it’s outside. But you might want to consider training them to use just one specific spot every time. If they’re allowed to go anywhere in the yard, it’s highly likely you’ll be unable to find and pick up all of their excrement which isn’t a good thing if you have children who play there, or puppy ‘deposits’ around your nice sun lounger. If you train them to use just a single spot, your yard will be cleaner and more hygienic for all other users, you won’t have the problem of Nitrogen burned grass and it’s so much easier for you to keep your yard clean. So it makes perfect sense to train your dog to use one specific area every time. An area away from any doors, windows, barbecues or play areas. But please don’t think if you choose a spot ‘out of the way’ you can shirk on cleaning duties. Dogs like to go where they can smell they’ve been before, but it must still be clean. So if you want them to keep using the one single spot you must still pick up what you can and give the area a regular clean. When choosing an indoor potty spot, the first thing you want to keep in mind is that you have to live with the smell. Due to space limitations it isn’t always possible, but you should try to avoid places such as bedrooms, areas where children play or anywhere you prepare or store food. This doesn’t leave many options! Another consideration is the surface you place your dogs bathroom on. For indoor potty using dogs there will always be the risk of accidents and misses. So if you can, place your puppy’s bathroom on a tiled or linoleum floor. Or if it must be in a carpeted area, lay a plastic sheet underneath the toilet to protect your floor and make cleaning easier. There are many options to choose from to use as an indoor potty spot. Turf boxes, litter trays, some new ones even have drainage that collect the waste in storage tanks…the list is now almost endless. Personally I always train my dogs to potty outside and do not provide a permanent indoor toilet for them. Therefore I’ve never considered turf boxes or litter trays, choosing instead to use paper and puppy pads if I must leave them home alone longer than they can hold their bladder. But if you need to make the choice: What’s the pros and cons of each? 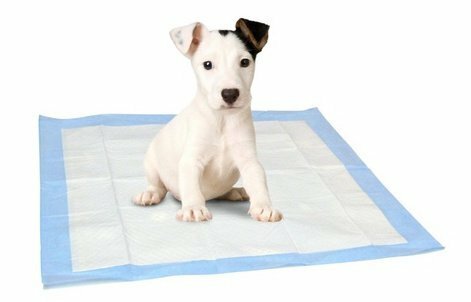 Puppy pads are highly absorbent and can be placed in a tray with raised edges, lessening spills and making clean up relatively easy. They’re often steeped in a scent to attract a puppy to eliminate on them so they can help to speed up the house training process a little. They also look better in the home than an area covered with paper (slightly). The downside is they don’t cover as wide an area as paper can and I’ve heard stories of dogs that learn to enjoy shredding them to pieces, but this is true of most things I guess! Paper is very cheap and if you use old newspapers then it’s almost free! So you can cover a wide area at very low-cost while your puppy is young and inexperienced. However, urine often runs off the paper before soaking in so spills are more common and cleaning up more difficult. Also, wee can soak through paper to the floor below more easily, though you can use a tray like with puppy pads if you wish. Finally, it’s very easy for your puppy to tear up the paper and spread it around where a pad is more contained when stuck into a tray. A Litter tray is easy to clean with highly absorbent litter soaking up the waste and the high sides of the tray doing a good job of keeping everything contained. It also looks better than a spread of newspapers. But the main problems with litter are some dogs see it as a snack, it can get walked out of the tray and trodden around the house when stuck to their paws and god forbid you have a dog that tries to bury their waste! 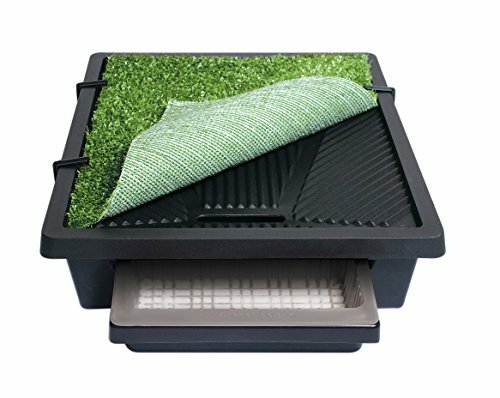 Turf boxes are available with genuine turf or synthetic options. They work well because they look so different to the surrounding floor that a puppy can easily distinguish it as a potty area, your dog gets a soft, grassy feeling under their feet and they do a good job of keeping everything contained. The downside is they are the most expensive of the available options and some dogs develop the habit of trying to dig and chew in the turf box like they would with an outside bit of grass. I recommend using newspapers with a very young puppy, confined to a single room with an easy to clean floor. 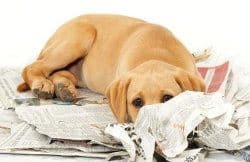 Once your puppy is used to going on the paper, cut the area covered down to the size of just a couple of sheets, then place puppy pads in a tray on top of the paper and encourage your puppy to use this. Paper is so cheap that you can use it in abundance with a new pup until they’re at least semi-trained, and then switch to puppy pads so the task of cleaning is easier. If you only need to use an indoor potty spot with your very young puppy until they mature, learn some bladder control and then use the outside exclusively, I wouldn’t ever consider a turf box or tray. But if you intend to use an indoor bathroom long-term, you might want to consider turf boxes, litter trays or even one of the more modern and creative indoor toilets available. 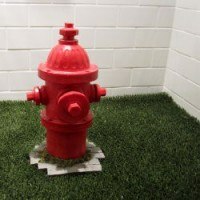 There are some modern doggie loos available needing only weekly cleaning, some that eliminate odors and many that look better than paper or puppy pads as a permanent feature of a home so you may want to research some of these options. There are 4 widely used and recommended methods you can choose from, though the reality is you will almost certainly use a mixture of 2 or more. Throughout the rest of this guide I will be referring to each of these 4 methods and when you should or could be using them. To be sure you have a decent grasp of what each method is and what they involve, I’m going to give a brief summary of each. I will also link to more detailed articles I’ve written on each method for those who’d like a more detailed understanding. Paper training is the most widely known and most commonly used method for house training throughout the world. 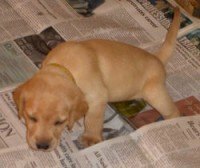 Description: Paper training is teaching your puppy to toilet indoors on a wide area of newspapers or pre-treated puppy pads that encourage a puppy to use the area as a bathroom. Once used to using the paper or the pads, you slowly cut the area covered until they reliably use just a couple of sheets and never miss. You then slowly move the paper toward the outside where another set is placed and you begin to encourage your puppy to go outside only, before completely removing the papers inside. At this point they will have made the transition. A top tip when paper training is when you clean away soiled paper, you should hold one piece back and place it as a middle layer of the new papers. Puppy pads have a scent that attracts a puppy, paper does not. But by keeping back a piece of slightly soiled paper with the scent of your puppy’s urine, you get the same effect of attracting your puppy to eliminate where you want. Effectiveness: On a scale of 1 to 5, I give it a 3. It cannot score higher because you’re training them to toilet inside before re-training them not to! This is confusing and will make the learning process take longer. It also leads to mistakes (pottying inside) being made far later into a puppy’s life when compared with the other methods, particularly when they see any paper that’s been left lying around. Best suited to: Either people who are going to have an indoor bathroom spot long-term, or people who will not use a crate for training yet cannot commit to constantly supervising their puppy when inside the home. But it’s also a good back up plan for everybody to use for times they have to leave their puppy home alone longer than they can be expected to hold their bladder. Ease of use: On a scale of 1 to 5, definitely a 5. Equipment needed: Nothing but stacks of old newspapers! A very cost-effective method. Using a crate is the most effective and simplest way to speed up the house training process. Description: The method takes advantage of the fact dogs have a natural instinct not to soil the area where they eat and sleep. Key to this is making the crate just large enough to stand in, turn around easily and lay down stretched out but no bigger. A puppy or dog will then ‘hold it’ as long as they possibly can to avoid relieving themselves and then have to lay in it. A huge benefit to this is a puppy learns while very young that just because they have an urge to wee or poop, they don’t have to and can actually hold it. With other methods a puppy doesn’t learn this fact while so young. You don’t crate your puppy all the time though, this would be cruel. You crate them only when you can’t watch them, are busy in the home or maybe away from the home a short while. The rest of the time you watch them and regularly take them outside to potty to teach them good habits. I say it’s the most effective method I know or have ever read about. Puppy’s learn the correct behavior quicker than with any other technique and there’s fewer mistakes (and less cleaning!) along the way. Best suited to: Everybody! I highly recommend using a crate during the house training process because it’s so effective. Ease of use: On a scale of 1 to 5, I’d say a 3. It’s easier than constant supervision, harder than paper training. This is because you will have to crate train your puppy before you can use a crate for house training which does take time and effort. Click here for my free and detailed guide to crate training your puppy. Equipment needed: A suitable crate. I have a guide to help you select the right size and type that you can read by clicking here. This article covers why the method is so effective, how it takes advantage of 3 of your puppy’s natural instincts, weighs up a few pros and cons and much more besides. Description: It is as it sounds: You spend all your time with your puppy, supervising them constantly. Every time you spot the signs they’re about to potty you scoop them up and take them to their bathroom spot. Effectiveness: On a scale of 1 to 5, I tentatively give it a 3. It could actually score higher or lower depending on how committed you are and how successful at supervising your puppy you are. But I’ve given it a 3 because no matter how good your intentions are, no matter how mindful you are of the task of supervision, you will let your guard down and your puppy will be able to sneak off to make mistakes. For this reason, it’s not as effective as crate training and will take longer, certainly resulting in more ‘accidents’ along the way. Best suited to: People who are against any kind of confinement and can stay at home to watch their puppy all day every day. Mostly people who work from home and the retired. But this method also forms a part of every house training plan, whether you use other methods alongside or not. This is because when a puppy is free inside a home, they MUST be closely supervised to prevent any mistakes. Ease of use: On a scale of 1 to 5, I give it a 2. It scores low as it requires a lot of input from you as the owner. You need to concentrate on your puppy at all times, ready to intervene and correct them any time they’re about to potty where they shouldn’t. It is quite draining never being able to take your eye of your puppy. Equipment needed: None. Nothing. Not a crate, newspapers, puppy pads or anything. The cheapest of all the methods…unless you put a price on your time. This is a little used technique, and at first may sound a little silly. But it is highly effective. Description: This technique calls for you to tether your puppy to you by leash and have them follow you wherever you go when inside your home. This way they’re never more than a few feet away and have no chance to sneak off unnoticed to potty where they shouldn’t. You will notice and be able to intervene and correct every possible mistake, taking them outside every time they need to relieve themselves. Effectiveness: On a scale of 1 to 5, I’d say it’s a 5. Used correctly, the opportunity for your puppy to make mistakes is completely removed so every single time they need to visit their bathroom spot is a training opportunity you will take advantage of and no mistake goes uncorrected. Best suited to: People who spend all their time at home with their puppy and would also enjoy literally being tied to their pup all day. It’s also a good method to throw into the mix for people who’ve found difficulty with ‘constant supervision’ and allow their puppy to sneak off and have accidents in the home, helping them to get better results. Ease of use: On a scale of 1 to 5, I’d say a 4. It’s easier than constant supervision as your puppy is attached so you can relax a little in comparison. It’s easier than using a crate because you don’t have to crate train your puppy. But it’s not as easy as paper training which is very hands off for an owner. Equipment needed: A quick release collar and a house line / leash. Further Info: for a detailed discussion of this technique, the benefits, downside, and many more tips, please see my article: Umbilical Cord House Training: What is It? How Does It Work? I use and recommend a mixture of crate training, constant supervision and paper training. I use constant supervision extensively because when a puppy is outside of the crate you have to watch them diligently to avoid puppy mistakes. Admittedly this is somewhat going against my advice because I always recommend to avoid paper training if possible. It encourages or allows your puppy to toilet inside the home, before then training them not to do so. It’s saying it’s OK, before turning full circle and saying that it’s not. But even though I recommend against it, using paper training ever so occasionally as a fall back plan works well for me. Though not essential, it’s extremely useful to train your dog to eliminate on command. 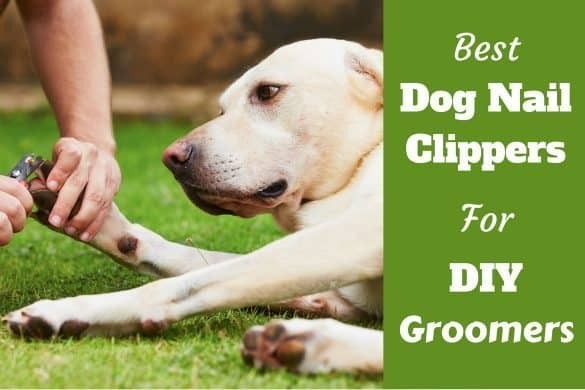 When you’re in a hurry and need to leave in the morning, or it’s right before bed time, these are times you will wish your dog would eliminate on command rather than you having to patiently wait for them to do their job. Most dogs love being outside and will use any excuse to get out there and stay there. So it’s of benefit if you can clearly tell them you’re going outside to toilet only and for nothing else, that there’s no chance of exercise or play. If they don’t potty, they’re coming straight back in. Because a full bladder or bowel is uncomfortable, dogs are happy to relieve themselves, but some may try to hold it if they think they can get to stay outside and sniff around a while. By not allowing this and associating it with a consistent command, it will only take a few short weeks for them to learn your chosen command means a bathroom break only and that if they don’t go, they’re coming straight back inside uncomfortably full. If this is something you’d like to train, it’s important that you choose the words to use before you start the training and make sure everybody uses the same words consistently. If people use different words, your dog will get confused. You’ll have a different word like ‘walkies‘ for other more fun times outside and your dog will eventually learn the difference and set their expectations of their time outside accordingly. Once outside you can use another command like ‘potty’ or ‘do your job’ to ask them to do their business. For the first weeks you should wait for them to start doing their business and then use the word ‘potty’ to build an association. And praise them afterwards with ‘good potty’. This will slowly teach them the command. Eventually your dog will learn ‘toilet time’ means a quick bathroom break only, and ‘potty’ is you asking them to go. NOTE: For a very good guide on training to eliminate on command from the ‘Whole Dog Journal’, please click here. A quick word of caution: Don’t use a word for your elimination command that gets used at other times. For instance, many people use the words ‘hurry up!’, but if you say this to your spouse when heading late out the door, this could get very messy if your dog hears and reacts. When your puppy’s very young it’s easy enough for you to scoop them up and carry them to their bathroom spot. And this is fine for the first couple of weeks while they have no bladder control and will perform their business very quickly. But once they start to learn some bladder control, if you take them to potty without them being on leash, as soon as they hit the outside there’s all the sights, sounds and smells that can take over their inquisitive minds. They easily forget what they’ve gone outside for and will romp and play in your yard instead, before going back inside still full. And some dogs even learn to actively hold their bladder just so they can stay outside to explore for longer. So it’s in your best interests to lead them on leash to their bathroom spot and keep them there until they complete the job in hand. 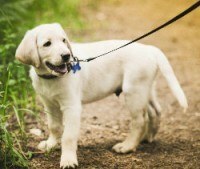 Start this process at 10 weeks, and always lead them on leash from the 11th or 12th week. You may regret it with lots of time waiting outside if you don’t! Like everything in life, house training runs smoother if you have everything ready before you start, hopefully before you even bring your puppy home. Although it’s never too late of course! Decided on and marked out a suitable bathroom spot? Chosen and purchased a suitable high-quality nutritious food? Figured out the times of day you will feed your puppy? Got a collar and leash? Put in place a leash training plan? Bought a suitable crate and set it up in a suitable place? Bought bedding for the crate? Bought chew toys to occupy your puppy in the crate? Decided on the commands you will use if any? 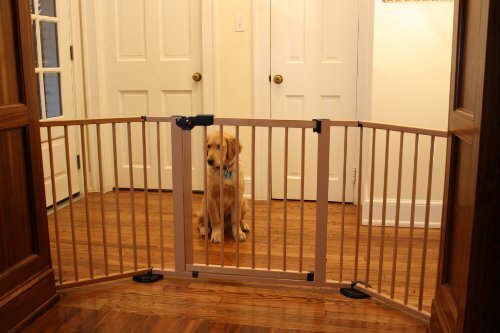 Purchased either baby gates, a pet barrier or an exercise pen for longer term confinement? Sourced stacks of newspapers or puppy pads to use in the long-term confinement area? Bought a tarpaulin sheet to protect the floor under the crate or exercise pen if it isn’t tiled or linoleum? Bought some small but highly tasty training treats to use as a reward? Bought specialized pet stain removing and odor neutralizing cleaning products? Bought a UV light to find hidden spots of urine that must be removed to prevent repeat accidents? Sat and discussed with every member of your household your finalized plans so everybody has the same info? With all this ready and in place, you’re now ready to begin house training your puppy. Dogs thrive when living to schedules and routine, doing best when they have set times for eating, going to toilet, exercise, training and play. And when it comes to house training, you’re going to love schedules and routine too! If you feed your puppy at random times throughout the day, they’ll need to defecate at random times throughout the day. They won’t fall into any predictable schedule and your life will be that much harder. But because the passage of food through their digestive system stays roughly the same, if you feed your puppy at the same times every day they will need to defecate at roughly the same times every day. Furthermore, because puppy’s learn through repetition, by taking yours out to potty at the same times every day, their body learns to expect and follow this schedule, training your puppy to toilet at the times you’d like them to. When you know the times your puppy needs to eliminate you can have them at the right spot at the right time with a far greater success rate than if you didn’t follow a routine. This results in fewer mistakes, more opportunities to praise your puppy for going in the right place and so speeds up their learning. Depending on their age a puppy will need to poop 3 to 6 times a day, and wee many more times than that. Can these times be predicted? Mostly they can. At 8 weeks old – every 30 mins. At 10 weeks old – every 45 mins. At 12 weeks old – every 1 to 1. 1/4 hours. At 16 weeks old – every 2 hours. At 20 weeks old – every 3 hours. Not all puppies are the same. Some will need to wee within 2 minutes of drinking, others after 20 minutes. Some will need a bathroom break within 2 minutes of waking, others 15 minutes later. This means there isn’t a ‘one-size-fits-all’ schedule I can give that’s suitable for every puppy and owner. You have to determine your puppies own natural tendencies and create a schedule to suit. Decide on exercise, play and training times. 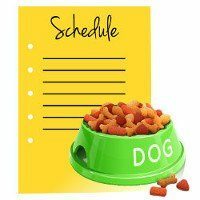 Develop a schedule including feeding, exercise, play, training and all scheduled potty times. Alongside your schedule, keep a written diary of your puppy’s daily activities, bladder and bowel movements. Use the information gathered in your diary to learn from any mistakes and adjust your schedule for the following week. Once you’ve determined your puppy’s natural rhythms, you can be at the bathroom spot at the correct times more accurately which is of huge benefit to both you and your puppy, so it’s highly worth doing! But if you fear living to strict schedules is too hard to do…don’t fear! You don’t have to stick to them 100% of the time. The more you can stick to schedules and routines, the smoother and faster the process will be. But you can stray from the path when necessary and still find success, it will just take a little longer. Just don’t be overly strict and hard on yourself because we all have a life to live outside of house training! So let’s go through the 5 steps of creating your puppy’s schedule. Follow this 5-step process to create a schedule that works with your puppy’s natural rhythms and fits with your lifestyle and commitments. Keeping and following a written schedule may seem odd or a bit excessive, I’m sure you’ve not seen many people bother with it? But I promise you it’s not much work, after a couple of days practice it becomes a simple routine, the time it takes is negligible and the results are phenomenal. You should feed your puppy 4 times a day until 12 weeks old. A good routine would be to feed ‘breakfast’ when you first get up, at 7:30AM, then at 11:30AM, 3:30PM and 7:30PM. 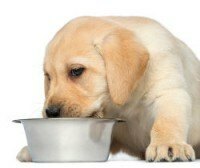 You should feed your puppy 3 times a day when 12 to 26 weeks old. The timings for 3 feeds a day would be roughly every 6 hours: 7:30AM, 1:30PM and 7:30PM. For 2 meals a day you need to space them out 8 to 12 hours apart. What works for me is shortly after I get up at 7:30 and when we have our evening meal between 6:15PM and 6:45PM. You should make sure fresh water is always available but because drinking too much or too little can be a sign of health problems, you do need to monitor their water intake. This will help your puppy’s mind and body to slip into a routine that will help you both with the house training process. Deciding when to exercise, train and play with your puppy is entirely up to you. You should fit it around your lifestyle and commitments, but try to make it the same times each day if you can. If you’ve followed the guide so far, you’ve now gathered all the information you need to design your puppy’s house training schedule. Enter your puppy’s feeding times. Enter the times you will play with, train and exercise your puppy. Enter a scheduled visit to the bathroom spot after each of the activities listed in points 1 to 3. Write in scheduled sleeps for your puppy, place them in the crate or confinement area. All other time is SUPERVISED free time, spent socializing, relaxing and bonding with the family and so on. After writing down this schedule, tick off each task as you go through the day with your puppy. This way you will always know what needs to be done and when, and there will be no confusion about whether someone else in the house fed, exercised or took the puppy to the loo. If it’s not crossed off the schedule, it hasn’t been done. 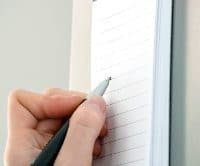 Alongside the schedule you’ve designed, add some columns where you can take notes of your puppy’s bladder and bowel movements, as well as their daily activities. Basically, note down anything food, activity, accident or potty related so you can look for patterns to help you in the next step. Look over any ‘accidents’ your puppy had and you noted during the day. You should be able to pick up on any patterns and adjust your own behavior to avoid mistakes in future. Was puppy left alone and peed in the living room while you made breakfast? – You need to increase supervision or make doubly sure you crate them when you’re busy. Puppy should never be left alone unsupervised, learn from this mistake. Or maybe puppy peed in the crate after an hour? – You left them crated longer than they can hold their bladder, or didn’t empty them before crating. Did you catch them ‘in the act’ 3 times in a single day? Well done for watching them closely enough. However, if they tried to go 3 times in the home, you’ve learnt that you likely aren’t taking them to empty themselves often enough. So increase the frequency. Or perhaps the opposite happened and you noted that 3 times in the day you took puppy for a scheduled bathroom break, they didn’t go and you returned them inside for 15 minutes before trying again? This shows your puppy is maturing fast, doesn’t have to potty as often as you thought and can last longer between potty visits than you’re allowing. Therefore you should stretch out the time between visits by 10 to 15 minutes for the following day. If you see puppy didn’t potty for 20, 15, 20 and 20 minutes after their meals of the day, with this information you learn it’s pointless to take them to their potty spot until 15 minutes after they finish eating. Some puppy’s go 2 minutes after eating, some after half an hour. This is how you find out. By writing out the schedule as in step 3, you should never forget to feed, train or take your puppy to potty. If it’s not marked off on the schedule, it’s not been done. And by using the schedule as a diary as in step 5, you get feedback on how you and your puppy are performing, and are armed with the necessary info to make changes to your schedule over time. This helps you to truly match your puppy’s natural rhythms and their maturing and changing body. You, your puppy and their needs all stay in sync and house training becomes that much easier. 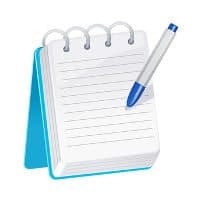 For ease of use, I recommend simply keeping a written diary with good old-fashioned pen and paper. We’re all in the electronic age surrounded by smart phones and i-Pads, but this is simply too much hassle and will likely lead to you not bothering if you have to power up a device and so on to make an entry. Just make a spreadsheet in excel and print it out, or simply buy some lined paper. Keep it somewhere you can always see and know where it is, alongside a pen or pencil and write entries in it as you watch your puppy throughout the day. 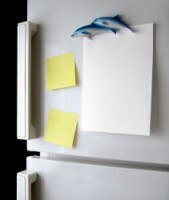 Next to your house phone, pinned to the fridge or by the exit to your puppy’s bathroom spot is a good place to keep it, but put it wherever is best for you. When you first get your puppy home at 8 weeks, they can barely control their bodily functions so keeping a diary isn’t perhaps that helpful but I still recommend you do so, to get yourself into the habit. I would recommend keeping a diary every single day until you’ve determined a definite pattern and have spotted their individual ways. Up until they’re 14 weeks old is a good target. After this, continuing with a diary every day is the best advice, although keeping one for 3 consecutive days each week will be sufficient for you to pick up on any changes as they mature. Once your puppy is 5 to 6 months old, they will have sufficient bladder control and experience to make a schedule and diary unnecessary. Just make sure they get access to the outside at least once every 3 hours and all will be fine. I discussed earlier how a puppy will need regular visits to their bathroom spot, something like every 30 minutes at 8 weeks old, every 45 minutes at 10 weeks old and so on. But every puppy is different and their progress in having longer time between needed toilet breaks will vary too. 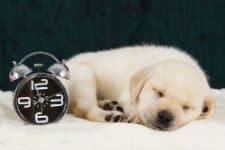 Although your puppy’s natural progression reflects in your diary and your schedule will adjust to suit, you should purposely try to increase the time between breaks yourself if it doesn’t happen naturally. If you don’t see a natural increase of time between eliminations, add 5 minutes to the scheduled times every 3 or 4 days to stretch out how long they can last. If they can’t make the time, peg it back 5 minutes and try to increase the time again in a further 3 or 4 days. 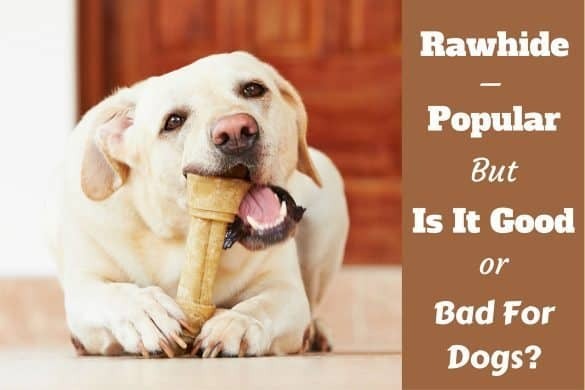 You do this because as a puppy grows, the size of their bowel and bladder increases, so they will be able to hold more for longer and you want to take advantage of this. This is also teaching them necessary bladder and bowel control. Your aim is to have them needing a toilet break only every 4 hours or so by the time they’re 5 to 6 months old. In an ideal world, when you take your puppy to potty they will empty themselves completely and instantly, with no delay and not holding any back to release as soon as they’re back in your home. There are a few things you can do and some that you certainly shouldn’t that will help you to achieve this goal. 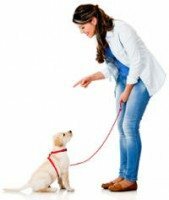 Use your cue word before you take them: By using your chosen cue word every time before you take them to potty, your puppy will learn what the trip is about and what they must do. This eventually leads to faster results as they know what is expected of them. 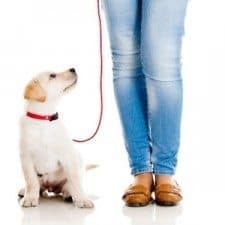 Lead your puppy to the bathroom spot on leash: This gives you the ability to keep your puppy at the bathroom spot and prevent them wandering off, getting distracted and forgetting what they are there for. This isn’t always possible if you catch them in the act and must hurry, but for scheduled bathroom visits you should always aim to take them on leash. Make sure you stay with them at their bathroom spot: If you have them on leash, then of course you will be. But if you don’t have them on leash, make sure you stay with them because the separation will just make your puppy anxious to get back with you and they will not potty. When they start to go, say your chosen cue word in a soft warm voice. Otherwise remain silently still until they’re finished: You need to associate your cue word with the act, but if you say it too loud and brightly, it may distract them and they won’t finish. Similarly, any other movement or sounds like praising them too early or shuffling your feet might distract them and they might not finish what they’ve started. If they don’t finish and completely empty themselves, they may finish inside your home and even if they don’t they will not be able to make it to the next scheduled bathroom break so an accident in the home is more likely. When you’re sure they’ve finished, praise them like mad and reward them: You should heartily praise your puppy for going in the right place, then allow them a few minutes off leash, a couple of minutes play or a tiny (and I mean tiny!) but tasty food treat. The praise and reward make going to potty a happy experience, tells them they’ve done right and helps them to learn more quickly. First of all, make sure you’ve spent enough time out there. Many people pop out, stand for 1 minute and then come back in. This isn’t enough as a puppy can only go when they need to go and they may not be ready. Some people recommend to stay out there for 10, 15, 20 minutes, whatever it takes until they go, then praise profusely when they do. Although this advice may be sound, personally I’d rather not. 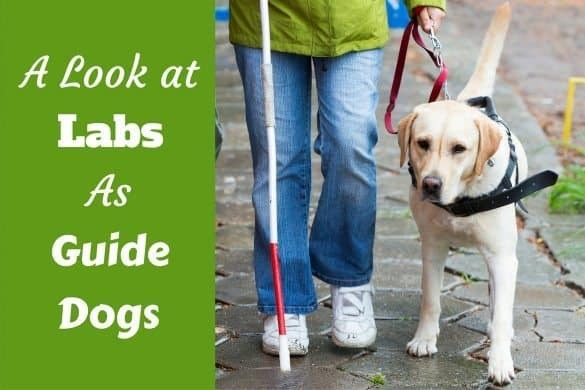 I recommend you give them 3 to 5 minutes, saying your cue word every 30 seconds or so but otherwise standing silently still just holding their leash so they cannot wander off. If using constant supervision: Set them down in your home and continue watching them to intervene in case they make moves to go in the wrong place. Take them back to their bathroom spot in 10 minutes or so. If using a crate for house training: Pop them back in the crate and leave them for 10 minutes. Then take them back to their bathroom spot. If using umbilical cord training: Take them back into your home and watch your puppy carefully while they’re tethered to you by leash. Take them to their bathroom spot after 10 minutes. In all cases, just remember you’ve brought them back in with a full bladder so you mustn’t take your eye off them if free in your home. And if crate training, do not leave them in the crate too long else they may be forced to soil in there. Prevent this at all costs. Rinse and repeat the visits to and fro like this until they do potty, then follow the next sections advice. Between scheduled bathroom visits you should do two things: Allow some supervised free time in your home, and use your chosen house training method. After returning from the bathroom spot you should grant your puppy some free time in the room where you spend most of your time, up until 20 to 25 minutes before their next scheduled bathroom visit. By free time I mean time outside of their crate, or off leash, or out of their confinement area. Time free to roam, explore and live life. When 10 weeks old they may need to toilet every 30 minutes, so they only get 5 to 10 minutes free time. When 12 weeks old, they may need to toilet every hour so they can get 35 to 40 minutes free time. You allow this free time because you are of course working toward a time when they will always be free and trusted unsupervised. To get there they need the experience, to get used to being free in your home and begin seeing it as a place they need to keep clean. The best time to grant this free time is right after a bathroom visit so you’re fairly sure they’re empty and are far less likely to make a toilet mistake in your home. The important thing to remember is: When your puppy is free in your home in this way, you must know exactly where they are at all times and be watching them like a hawk, ready to intervene if they look like they’re about to potty where they shouldn’t. But what are the signs a puppy is about to potty? Heading to a secluded, hidden spot or trying to leave the room. Heading toward, barking at or scratching the door to the outside. The minute you see any of these signs you should take your puppy to their bathroom spot immediately. There may well be some false alarms, but better safe than sorry. Most puppies will display one or more of these pre-elimination behaviors, but no two puppies are the same so you need to be observant and learn your own puppy’s pre-toilet rituals. Carefully watch them and you should soon notice what body language means a wee or a poop is imminent. There will be recognizable signs. Once your puppy has enjoyed some free time and it’s nearing 20 to 25 minutes before a scheduled potty visit, you need to switch to using your chosen house training method. We do this because the time is fast approaching when mistakes are most likely to be made. So we might crate our puppy, or attach a leash for umbilical cord training if we’re using these techniques. Remember, all free time is closely supervised anyway so you’re ready to react if they’re about to ‘make a mistake’, So.. If using constant supervision: Carry on as you are. Watch your puppy and be ready to react if they look like they’re about to potty. Then at their scheduled potty time, attach a leash and lead them to their bathroom spot. If using a crate for house training: Encourage your puppy into their crate and close the door, leaving them there until their scheduled potty time and then release them, instantly attaching a leash and leading them to their bathroom spot. If using umbilical cord training: Attach a leash and tether your puppy to you, ready to react if they make moves to eliminate. Take them to their bathroom spot at the scheduled time. If paper training: Take your puppy to their confinement area where their papered bathroom spot is and supervise them, ready to intervene if they make moves to potty away from the paper. Encourage them to potty at their scheduled time if they don’t do so naturally. If you catch your puppy pottying in the wrong spot, you should simply clap your hands and say a firm ‘NO!’. You don’t want to shock and scare them, just loud enough to startle and get their attention. It’s very important you DO NOT scare them as they may become afraid to potty in front of you. Not good when you need to be there to encourage them for doing it in the right place. When you clap and say ‘NO!’, some puppies will stop what they’re doing, but others may not. If they do, you can pick them up and carry them, or take them by the collar and gently lead them to their bathroom spot, then encourage them to finish where they should. But if your puppy doesn’t stop mid-flow, my advice is to accept the fact you’re too late, you didn’t recognize the signs they needed to potty (or weren’t watching them closely enough) and you should let them finish and then clean it up. Many people recommend to pick your puppy up and take them outside even if they don’t stop. But to me this seems foolish. Instead of a little pile or puddle, you then have a long line of wee or poop from where you caught them all the way to the bathroom spot that you then have to deep clean instead. To me this isn’t worth the extra cleaning effort. You’ve missed the opportunity to correct your puppy and anything you do now your puppy will be unable to connect to the act of pottying in the wrong place. If you get angry, shout at or punish them in any way, they might ‘look guilty’ trying to appease you, but they will have no idea what it is that’s driven you mad. They’re just trying to calm the situation. And what sometimes happens is a puppy learns that poo on the floor is what you’re mad about, causing them to slink away to poo where it’s hidden, or worse they may even eat it so you don’t see it and get mad. So if you stumble on a mess you didn’t catch them make, simply move them away and deep clean the area. Then think how they were able to make such a mistake and tweak your plans so it cannot happen again. But any corrections or punishment now will be futile. This advice applies not just to full-time workers, but also if you must occasionally leave your puppy home alone for a few hours. Most importantly, follow all the advice in this guide so far for the times that you are home. Supervise them, correct any mistakes, set feeding and elimination schedules and everything else I have advised. Then, what follows are your choices of what you can do to cover when you aren’t at home. This is very unfair on your puppy and it will destroy the crates power as a house training tool if they lose the instinct to keep it clean. Secondly, please do your best to enlist the help of a family member, friend, neighbor or hire a dog walker to periodically pop in to visit your puppy, take them to their bathroom spot, give them some social interaction and so on. I understand this isn’t possible for all owners, but you should strive to achieve this if possible. Throughout the many articles of this guide you will have read me advising against paper training unless you’re planning on a permanent indoor bathroom spot for your dog. But I also freely admit to using paper training myself occasionally, for the unavoidable times I have to leave my puppy home alone for a few hours. If you have to leave your puppy home alone for any reason, usually because you work, then paper training in your absence is the only thing you can do. You then have two options available to you: Buy and use an exercise pen, or confine your puppy to a single, puppy-proofed room. You use it to confine your puppy so you know they’re safe, as is your home and belongings from their teeth. They’re big enough for you to paper an area inside to use as a toilet, while leaving space where you can set up your dogs bed, a water bowl and some chew toys and so on away from where they have to potty. Initially use less than half of the confinement area for your puppy’s bedding, toys and water bowl, then paper over the remaining floor space. As they get used to pottying on paper, reduce the area covered one sheet at a time until just a small area remains covered. 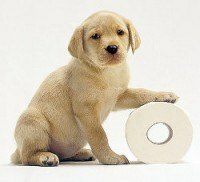 Once you know your puppy can hold their bladder for longer than they have to be left alone, remove the paper altogether. By 16 to 20 weeks, they should be able to last the 3 or 4 hours max they will be left alone and somebody comes to exercise them and allow a bathroom break. When I’ve had to leave a puppy alone, I confine them to a paper covered area of a puppy proofed room, with a puppy pad in a holder. Between 8 and 12 weeks (when weeing seems spontaneous), my puppy spends a fair bit of time in there and I paper train them to use puppy pads. Most recently, the room I used was basically our dining room, though it’s never used for that purpose and is essentially bare. Our kitchen and dining room was separated by an arch where a door used to be, with tiled flooring, making it ideal. I used a baby gate across the arch between the kitchen and dining room, and initially covered the dining area with paper, over time reducing it to just two sheets with the puppy pad holder on top. If you use this option and have any furniture or anything at all in the room, it’s likely it will be scratched and chewed! Skirting boards, the corners of furniture items, anything within reach is a potential target for teeth and claws. My girlfriend works from home, we crate trained and we had no problem finding house sitters in an evening if we needed one, so we all but had things covered. But this is something you need to be mindful of. So I recommend using an exercise pen if you’re going to leave your puppy alone often and there’s any chance of a room being damaged. Regardless of the method of house training you choose, some form of confinement is almost always necessary, for the times when you really cannot watch your puppy. And there will always be a time or two so it’s best to prepare in advance. You may have an unexpected visitor or need to visit A&E in an emergency. Whatever the reason, there just WILL be times you cannot supervise your puppy. If you’re using a crate, you have these times covered. But if you’re against a crate for whatever reason and have chosen to exclusively use constant supervision or umbilical cord training, you will have to invest in an exercise pen or confine your puppy to a single room and use paper training. The essence of house training is to prevent mistakes and praise your puppy heavily when they potty in the right place. If you cannot watch your puppy, the chances of them making a mistake go through the roof. So even if you choose to use a constant supervision method exclusively, you will still need to confine your puppy sometimes to a paper covered area just in case. You’ll likely find your 8 week old puppy has absolutely no bladder control. I mean literally none at all. One minute they are trotting along, the next they are leaking. No warning signs for you, not even any warning signs for them. They just don’t know it’s going to happen themselves. It’s not their fault, it’s just their immature bodies doing what they do. During this time it’s foolish to allow them on your living room carpets for even a second. I recommend setting up an exercise pen with the entire area papered, or do as I do and confine them to a room with the entire area papered. Some time between 8 and 12 weeks, your puppy will start to show some bladder control (usually 9 to 10 weeks) and will begin to show warning signs that they’re about to potty instead of instantaneously leaking. They will sniff, circle and so on as I mentioned before. At this point you can now move on to using your chosen house training method. I’m not saying when 8 weeks old you don’t house train them. Do! Start encouraging them to potty in the right place from the minute you get them home. I’m just saying that it’s very hard when you have absolutely no warning for the first few days to a couple of weeks. Just don’t get mad at your puppy, it isn’t their fault and you should expect this. A young puppy will not be able to last through the night without needing to potty. However, similar to humans a dog’s body slows down during the night and the need to toilet is severely reduced. So the good news is, even at 8 weeks they will be able to last 4 or so hours and you will only need to wake once during the night. Allow your puppy no food for 3 hours and no water for 2 hours before bed. Also, make sure to take them to their bathroom spot right before you go to bed so they can empty themselves. Then set an alarm for 4 hours after their bed time when you must get up and take them to their bathroom spot. No excuses, you simply must do this. If you find your puppy has soiled in this time, you should set the alarm for half an hour earlier the next night (3.5 hours). Repeat until you find you’re waking before they’ve had an accident. 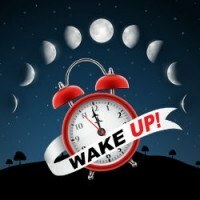 After a few days of not having a night-time accident, set your alarm for 15 minutes later and increase the time by 15 minutes for each successful night they do not have an accident. The time a puppy can last over night without needing to potty increases dramatically during their first few weeks so you’ll find this is OK to do. If you find they make a mistake one night before you wake, set the alarm back half an hour, make sure they stay dry a few days and then increase 15 minutes nightly again. Within a few short weeks you’ll find they can last a full 7 hours without needing a bathroom break. And by using this schedule, you strike a good balance between a couple of inevitable accidents while stretching out the time at a good pace to lasting a full night. It’s important that your puppy isn’t forced to eliminate in their crate as it can ruin their natural instinct to keep it clean, the very thing we take advantage of to help the house training process. This is why I recommend if you find a mess you set the alarm for half an hour earlier, a reasonably big step back to where they’ve been successful at before. If they soil their crate more than once in any given week, you may have to progress slower (add 15 minutes every 2 or 3 days), or perhaps sleep them in a papered exercise pen or their confinement room. Maintaining their instinct to keep the crate clean is of utmost importance. You should also consider consulting your vet to make sure it’s not a medical problem causing the mistakes. When you take them out at night, say your chosen cue word, take them straight to their bathroom spot, praise them gently when they finish their business but do not reward them with anything else. The last thing you want is to teach your puppy that during the night is a time for play or food treats! This will come back to haunt you in a big way and result in noisy sleepless nights. You want your puppy to learn that night-time is for sleeping and for nothing else. When the alarm goes off, collect them, take them to potty, praise with a simple, deadpan ‘Good potty!‘ then silently take them back and return to sleep until the morning. Do nothing else. No two puppies are the same. Some will be able to last the whole night without a potty break at 10 weeks (rarely), and some may not be able to at 15 weeks (also rarely). But certainly by 16 weeks old your puppy will be able to last a 7 hour night without needing to potty if you do not feed them for 3 hours or provide water for 2 hours before bed time and allow them to empty themselves right before you lay down for the night. If you seem to be making little progress and your puppy is weeing and pooping randomly all the time, or just doesn’t seem to be developing bladder control, it could be due to medical reasons. If you are feeding, exercising, training and playing with your puppy to a schedule, and when you look at your diary there seems to be no pattern to the times they need to potty, you should seek the advice of your vet. 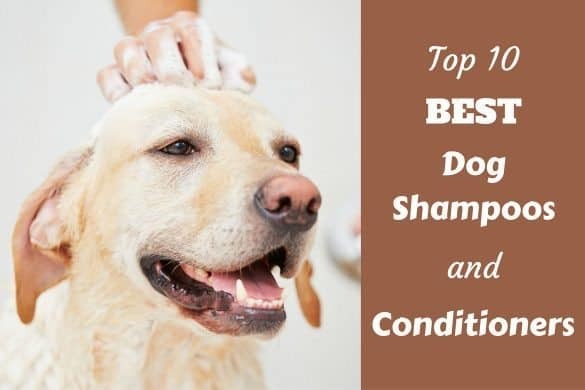 Common ailments such as gastroenteritis, urinary tract infection and health issues affecting internal organs and the genitalia can lead to a dog needing to potty much more frequently, often leading to eliminating in the house. Also, you should regularly check the firmness and consistency of their stools and if they’re too hard and dry, or soft and runny, there’s likely something wrong with their diet or a medical condition to blame. Again, seek the advice of your family vet. You cannot successfully house train a puppy who is ill because their bodily functions will be too unpredictable. But of course if they’re ill, you want to have them back to good health anyway! The average will be between 6 and 7 months old. The élite few may be some weeks earlier and yet others, particularly the smaller breeds, may take from 8 to 10 months. But 6 to 7 months is the ball park figure to aim for. However, you have to be careful here and can’t judge it by a clock or calendar, you have to judge it by your puppy’s behavior and only stop when they have proven you can trust them. A single mistake in the home can cause a major setback. A puppy may not make a mistake for 2 weeks, then you give them too much freedom, they make a mistake and all of a sudden they are regularly trying to potty in the home again. Also, some puppies just seem to forget everything for a few days now and then while growing up, even after being perfect for a couple of weeks. Please remember this, expect it even, because it’s perfectly normal and you shouldn’t get worried or think your dog is being naughty. Just stick to your plan and they WILL eventually get it. So anyway, it’s in your best interests to show caution and not be too hasty to end the house training process. My advice would be to continue until they haven’t even attempted to make a mistake for at least 6 weeks so you can be sure they really have ‘got it‘. With house training, the fewer mistakes you allow your puppy to make and the more they are rewarded for doing the right thing, the quicker they will learn and the faster you will find success. Because of this, the more effort you put in and the more time you spend with your puppy at the beginning – supervising to correct mistakes and taking them to their bathroom spot many times each day – the better. This guide has provided you with all the theory, strategies, tips and tricks you will ever need to successfully house train your puppy as quickly and efficiently as possible, with the fewest mistakes along the way. 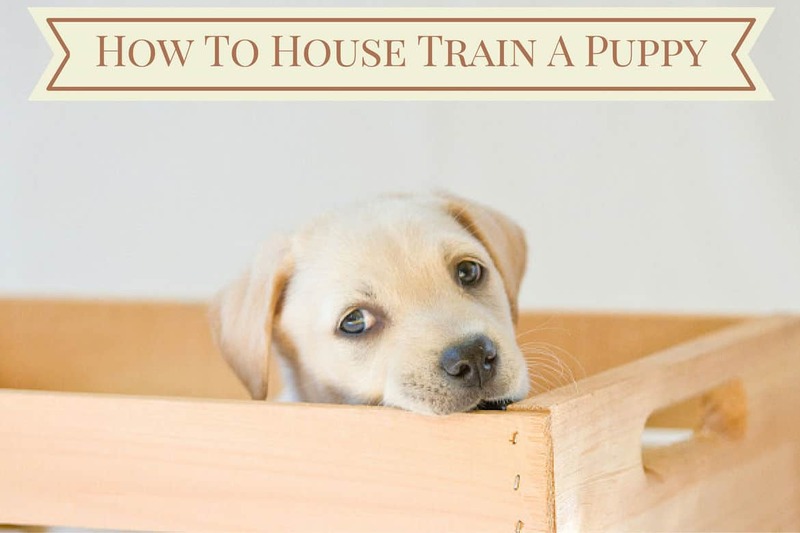 Put into practice what you’ve read within this guide and with a little patience and dedication you will be able to turn any puppy into a house training champion. This was part 11 in a 12-part series where I’ve tried to provide all the guidance you could possibly ever need and covered everything I can think of for you to successfully house train your puppy or adult dog. This guide has taken me many weeks to put together so I’m hoping it will prove useful to people. I would love to hear any feedback you have whether good or bad, so I can improve the guide over time and make sure it’s as useful as can be. For many example schedules for puppies of different ages, see: Housetraining from ‘The Academy’, Canada. Fantastic guide!!! Thank you!!! I have a question please! My puppy doesnt wee when in the garden and goes on my carpet when we go back inside!!! What can I do? Sometimes, people allow their puppy to run free when outside, and sometimes people put their puppy outside and come straight back in themselves leaving their puppy outside alone making their puppy pine to come back in with their family. Both these things can make a puppy forget what they’re outside for. Make sure you’re not making either of these mistakes. 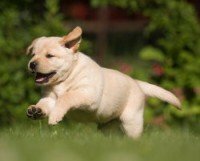 Another two common issues (depending on age and history of your puppy…I have little detail to go on): Some puppies just don’t know yet that you want them to toilet outside and are so used to going inside from their first few weeks of life that they wait to be in familiar territory before they’ll go. Some puppies can also not like the surface they’re being asked to potty on, in your case maybe favoring carpet over concrete or grass for example. ‘Surface preference‘ can happen. The one good thing on your side that will help with both issues is a puppy has a small bladder, they cannot ‘hold it’ long and have to go very frequently, so you don’t have to wait too long and they will have to go outside if you keep them there long enough. You then praise and reward your puppy and they will soon catch on and want to repeat the performance to earn the high praise. So, set up a chair outside, wait for a scheduled potty time, go outside with them, have them on leash so they cannot wander off and just sit and wait. Play with your phone a while, or read the newspaper. Just wait. 10, 15, 25 minutes, who knows how long, just wait, but your puppy WILL have to wee at some point. You want to make sure it’s outside and you’re right there with them. As they start going, give a calm but warm: ‘good potty!’ Not so loud you startle or distract them as you don’t want them to stop. But make sure they know you’re happy with what they’re doing. Then as soon as they finish…Go mental! Praise like never before, all the while saying good girl / boy! Good potty! And give them a reward with a tasty training treat, or some play or whatever. Good luck…let me know how you get on! Anyhow, up until 12 weeks, and even a while longer, you can very easily scoop them up and carry them to their bathroom spot. And they have such small bladders and are so unable to hold it at this age that when you take them outside you won’t have to wait very long for them to do their business so you can praise and reward. If they wander a little, they will still need to go very quickly. But if you was to take the same attitude when they get to 14, 16, 18 weeks old and beyond when they have developed some bladder control, you may well find they learn that by wandering off and holding their bladders they get to stay out longer and this can drain your time and doesn’t help with the process. (Also, though only loosely connected, puppy’s grow at a phenomenal rate and when they get to 16, 18, 20 weeks old and beyond, they weigh so much more, are harder to carry and many won’t want to be picked up quite so easily anymore). So from 8 to 12 weeks, carry them outside. It won’t be long before they need to do their business because they are simply physically incapable of holding it. After this age try to take them on leash because before long, some dogs will learn not to potty just so they can remain outside. You will want to stop them wandering off and instead concentrating on their business. Maybe even give them time off leash for a few mins in the garden after their business and they will learn to potty more quickly to get that reward. Thank you for this incredibly informative guide. 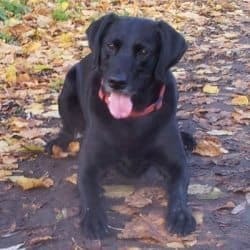 I find your approach to be sensible and realistic which is comforting to me as I am experiencing more “accidents” during house training than I anticipated. I work mostly from home but occasionally have to attend meetings for work which necessitate me leaving the house for 1-2.5 hours at a time. My puppy has had accidents in his crate about 50-75% of the times that I have left him (he is now 11 weeks old). We have a very secure yard; well fenced in and private. Would you think it would delay his house training if I left him out in the yard while I left the house for my meetings? Can you leave your 11 week old puppy out on the garden? It’s not something I would do, but you could potentially and I wouldn’t say you were wrong to do so. After all, wild dogs will spend almost all their time outside (some time in a den of course) so it’s not an unnatural thing. But this would be supervised time, under the watchful and protecting eye of their mother, not alone. So there are differences. 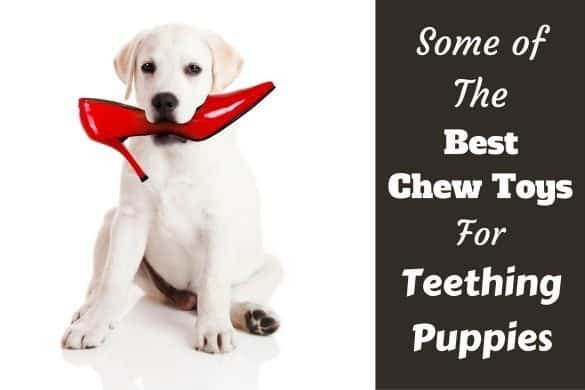 Puppy’s love to chew: He will chew on anything and everything he can, so you will have to puppy-proof your yard exceptionally well to keep him safe as many plants are toxic, and many other objects are dangerous if swallowed. Puppy’s love to scratch and dig: You will have to make sure he cannot dig under fencing, taking precautions to maybe bury chicken wire a couple of feet deep just in case. And you will have to guard off any plants, flower beds or anything else you’d like to keep from being dug up. Following on from the last two points, if allowed outside without you being there to supervise, intervene and re-direct his behavior, he can form very hard to break habits of chewing, digging, barking, becoming territorial (though not at such a young age, but it’s a future worry perhaps) and so on. These are self-rewarding behaviors that will go on unchecked and could become ingrained and hard to untrain later. It’s not unknown for unsupervised puppies to be stolen from gardens too. Thankfully, rarely of course, but depending on where you live this could be a factor to consider. Anyway, bit of a rant there! 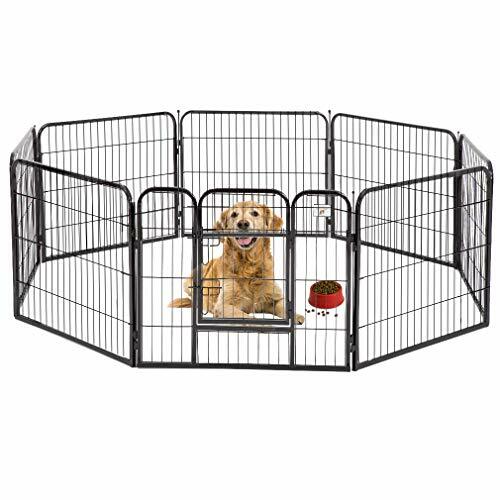 To sum up, I would recommend setting up a play area inside with a puppy exercise pen connected to his crate to sleep at one end (as per the image below), and water and toys inside at the other end. Use puppy pads to encourage toileting in one area when he’s alone like this (house train him religiously when you are home) and place tarpaulin underneath the pen to protect your floors and for easy cleaning. But if you consider all the above and decide to place him outside, personally I don’t see anything wrong with it. Mark, thank you for your exceptionally detailed response. These are very sensible recommendations and will certainly help me to design the best possible area for him. Thanks again for taking the time! Does this method then not train her to hold her blade/bowels for longer during the night? It’s very likely she will begin to toilet inside the pen, but away from her sleeping area. This is the normal answer to a need (to toilet) for any animal. So if I were you, I would crate her so she holds it, and get up during the night to take her to the toilet spot. This phase only lasts a short time and is a small sacrifice to make good progress in house training! Thank you so much for the great article. We have a 15 week old mini dachshund puppy that we’ve had for about three weeks now. Potty training is coming along SO well when we are home! She sleeps from 10pm – 4:30am with no accidents and wakes us up at 4:30am when she has to go. She is already showing signs of letting us know when she has to go potty during the day when she is out of her crate. We feed her at the same time in the morning, at lunch, and at night and are seeing the benefit of that with learning her potty schedule. My question comes for when we are not at home during the day. Both my husband and I work. We have been leaving her in a play pen in the kitchen, with a puppy pad, water, toys, and a bed. She is alone from 7:30am – 12pm, then one of us comes home at lunch to let her out, feed her, and play with her. Then she is alone again from about 12:30pm – 5:30pm. The first few days she used her puppy pad to pee while we were gone. Now she is playing with the puppy pad and peeing on the floor where we had originally put the pad down. She has never pooped in her playpen (has always held it). I have two questions. 1) How can we prevent her from ripping up her puppy pad and therefore going pee on the tile floor? and 2) is using a puppy pad going to delay her ability to be fully potty trained b/c she is not learning how to hold her pee if she has the pad to use whenever she needs to? Will peeing while in her playpen confuse her instinct to not soil her ‘den’ ? We don’t have any other options besides the playpen & potty pads at this point, but she is doing SO well when we are home, I would hate to be missing something that could help for when we do have to be gone. Thanks for your insight!! To answer question 1) I’m afraid you can’t! Unless you are there to supervise, you cannot prevent a puppy shredding paper or pads, it’s just something they LOVE to do. Do you use a pad holder? This tends to help because they find it harder to get hold of the pad. If still successful, secure the pad into the holder so they cannot take it out. You can also spray bitter tasting chew deterrent around the edges of the pad so she finds it distasteful. To answer 2) Yes, it can delay things and slow down learning. But not for long and she will soon catch up. Will it teach her to soil her den? Not really, no. Her den is just her crate if you are crate training her and she will not soil here, she will soil outside of it, in other areas of the play pen, which is outside her den. And all the work you put in potty training her when you are home teaches her to respect bigger and bigger areas as her den. She will still learn the same. So carry on as you are, you’re doing great and she’ll soon get the hang of things! Just stick to your guns, do not go to her when crying and make a fuss, eventually she will fall into line. Have you been through my crate training guide? There’s lots of advice in there. Hi! Thanks for all the great info! It’s my puppy’s second day at home (he is 8.5 weeks old). I’ve noticed when he potties he often pees 2 or 3 little times. I’ve been praising and rewarding him with a treat each time. But I’m worried this is too much. Should I only treat on the first pee after going outside and then just praise on the subsequent pees? He is so young, he has almost no control over his bladder right now so things will be a bit random. I wouldn’t reward with food each time, or he might inadvertently learn to stop-start to maximize the number of treats he gets. Unlikely, but it could happen as they are very smart! It’s best to wait until finished…which in your case would have to be the first time I guess, because there may not be a second time and you would miss the opportunity to treat and praise. Subsequent times, just praise. Once another week or two has passed, after he has finished the first time take him right back in. Do not wait around outside for a 2nd and 3rd time to go, take him in right after the first potty and eventually he will learn he should empty himself in one go or risk going back inside perhaps uncomfortable with a still semi-full bladder. Be sure to watch him like a hawk though as he may not be empty! Hello! This article (and all of yours!) are really great and informative, thank you! I have a question about night time when the puppy first comes home. You recommend them sleeping in your room for the first few nights to keep the settled while they get used to their new environment, however crate training won’t happen for a little while after and of course they have no bladder control. We have a carpeted bedroom so a paper training area might be difficult to accomplish. What would be your recommendation of sleeping arrangements during this time? Thanks so much. You can sleep your puppy in their crate at night. To a dog, sleeping in a crate when all around, everyone else is quiet and nothing’s happening is completely different to being placed in a crate during the day, when the sun’s up, everyone else is up and about and moving and there’s things to get involved in. We’ve always put our puppies to sleep in a crate night, though most times a strong cardboard box the first few nights. Just move the crate to your room, wait for them to sleep and gently place them inside, or use a cardboard box. I have two adult Shih Tzus that I find I must retrain in potty training. Taking them to the same spot on grass in the lawn with a cue command is fine in the spring (no snow), summer, and fall. But I live in Minnesota where the winters are cold and the snow can become deep. What can one do in the winter time for same spot bathroom time and can it be different than the grassy summertime spot? I must honestly say I haven’t tried having two spots. I’m pretty sure you can have two spots, but it will be near impossible to make one a summer spot and the other a winter spot, there will just be two spots that they think they can use at anytime of the year all year. I can’t see how…without some truly expert training…you can train them to only use one spot when it’s snowing and the other when it isn’t. That is way beyond me! Hi my puppy’s mollie is 12 weeks old and I’m at a loss as what to do. I take her to where I want her to go and she just lies down I tried this for over an hour and half and only when she’s off leash will she go. This involved me going back inside and back out when she’s giving cues she needs to go. It’s a case of perseverance, sticking with it until she goes I’m afraid. Take her outside, on leash, and stay with her long enough until she goes, then praise her heavily for doing so. Put a chair outside, take a book, if it takes 20 mins, 45 mins or 1.5hrs, that’s how long it takes. Eventually, she will have to go, every animal does. And then you can heavily praise and treat her. And after just a few times she will link the praise and treats to pottying and things should be fine thereafter. Until what age do puppies usually need a play pen, the layout of our house means we can’t ‘puppy proof’ a room? I’m afraid there’s no answer to that as it varies so wildly. Indeed, some dogs can be fully house trained at 5 months, others at 1yo, some never chew things in the house, others do so for their whole lives, depending on personality and success of the owner raising and training their dog. As a general rule, with a labrador, I would say the average age they are house trained fully at is 6 to 7 months, and for destructive chewing, the time when you can completely trust and leave them home alone, free roaming room to room without fear of coming home to destruction tops out at 2 to 2.5 years, but for a single room much earlier in most cases. But as I say it varies wildly. It’s a case of following all the right advice, supervising or confining at all times so they develop no habits in the first place and see where the chips fall. Wow! What an outline! Bravo for clearing up so many questions I had.  No other website really elaborated like you have on a lot of the unknowns when house training a puppy – specifically when your dog gets to have some free time. Thank you!! Your outline & instructions worked out so well. I am following the confinement and crating methods inside and using a 4 foot tether outside to control/encourage the peeps & poops. We are on day two and she’s getting the message!!! After her love and rewards Charly enjoys her supervised free time in the house and her free runs in the back yard. Me again. Its been around 5 weeks now with the new puppy, Charly. She follows a pattern during the day with me, sleeps through the night BUT STILL pees during the evening without warning and off pattern. She seems to pee every hour after dinner. I have tried taking her out each hour and she doesn’t do anything. Then right before I want to take her out again she pees, or does it when she comes inside! WHY!!?? She does everything else so well. She will even pee on demand. Any help or suggestions?! We have a 6 month pup and he’s slowly getting the toilet thing. My husband works from home and we have been following the supervision regime with a doggie door too. He has now not toileted in the room and kitchen that he is kept in for a couple of weeks but I’m wondering how to expand this ( he will pee or poo in any other room/stairs/hall!). Is it just a case of sitting in these rooms/stairs/hall with him too. Thanks! Hi Ditty. It’s exactly that, yes. Dogs do not ‘generalize well’, or put another way, they do not see rules set in one place as applying to others. So you need to reteach him the ‘no toileting here’ rule for each room in your home. Eventually they do then understand it’s in no room, anywhere…eventually. Such great information, thank you! Our black lab puppy is 11 weeks old, she has been getting up at 3:00 am to pee and 4:00 am to poop. She seems to last a long time after eating before elimination. We feed her dinner at 5:00 & she pees before bed but is up at 4 am to poop. We are hoping to figure this out & have her up only once during the night. Any advise. Thanks for the detailed explanation! I got my puppy at 16 weeks and he’s been at my home for ~10days. In the first week I tried to use training pads and a pads-lined playpen, and takes him down whenever I think he’s gonna pee. It didn’t work and almost 90% time he potties inside. Now I bought a right-sized crate and plan to use the umbilical cord method until the crate training finishes. However, I have some general and some specific questions regarding your guide. (1) You said potty first thing in the morning. Let’s say 7:30 am. Then if I feed him at 7:45, does he need to potty again before 8:00, less than half an hour from the previous go? (2) Assume my plan is 6pm 8pm and 10pm. If I take him out and in multiple times at 6pm and he finally goes at 6:45, is the next time still 8pm or I should move it forward? If so does it mean it becomes 6:45 and 8:45 everyday from then on? (3) If he falls into a nap when it is potty schedule time, or during the 10-Minute break after a failed go, should I wake him up or wait for him waking up on his own? As I understand a puppy sleep way longer than adult humans, so you would see him nap a lot during the day or early evening. How does or doesn’t this conflict with the rigorous schedule? (4) Because I work full time, I send him to a daycare during the day (usually leaves home 8am, returns 7:30pm) on weekdays to play and socialize. There he has free movement between indoors and outdoors and pee/poops freely. Is this a bad thing for the training progress and should I make adjustments because of this? Also what should I do on weekends where he’s at home all day? Would 5-day free reign and 2-day two-hour potty cycle confuse him? (5) I train him outside. However when it’s around 0 Celsius (32 Fahrenheit) or lower, he (short hair breed) gets cold and shivers when over 5 minutes outdoors. What should I do with this? (6) If I take him down and he doesn’t potty, multiple times, how long the total time should be until I need to take him to the vet to check for a medical issue? (7) He’s 16 weeks and should be able to hold for the night. I currently put him in a playpen that is way too large for crate purpose (crate will arrive in a few days and crate training would probably finish in a week or so) for the night, lined with training pads. Usually I will see a peed pad in the morning I wake up (generally after 7 hours of sleep). Is this normal? Would I still see this when he starts to sleep in the crate instead? Related question, should I line the bottom of crate with training pad or newspaper at least for the first a few weeks? (8) I live on the second floor (= third floor for Americans) and as he’s a short-legged breed I have to use elevator. It takes 1-2 minutes to get outside and sometimes he will refuse to move (even leashed). Is there anything special to notice for this situation?